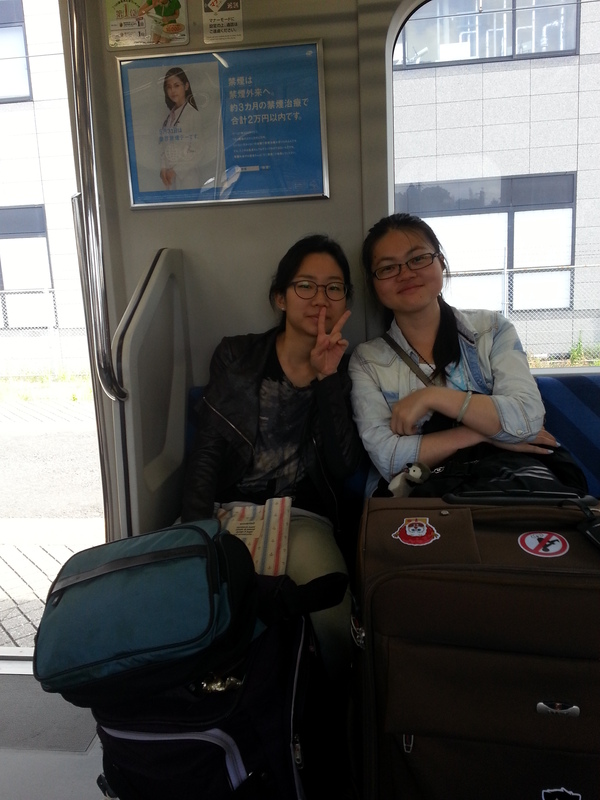 To kick off the summer at the end of May, I traveled with two Historic Preservation students, JeeEun Ahn and Tianchi Yang, to Japan for an educational tour of traditional Japanese architecture and eastern preservation techniques as part of the ARCH Initiative [Architecture, Restoration, Conservation, and Heritage] in collaboration with the Institute for Medieval Japanese Studies and Nara National Research Institute for Cultural Properties. 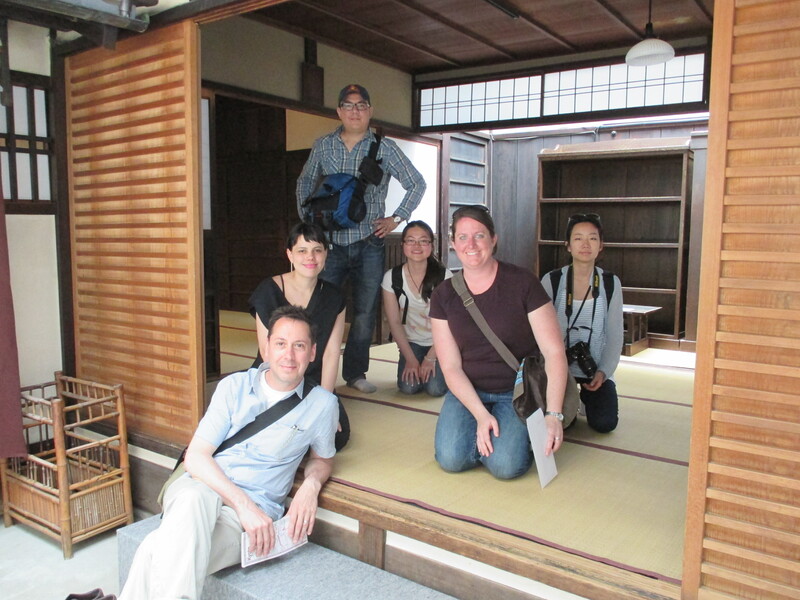 We started our tour in Tokyo with GSAPP HP alumnus, Michiru Kanade, who showed us several sites that have been restored, reinterpreted, and remain in the city – all in one day! One of the highlights of our whirlwind tour of Tokyo was visiting the reinterpreted structure that houses International Library of Children’s Literature located in Ueno Park. The building, originally constructed in 1906 for the Tokyo Metropolitan Government, was given a face lift with an addition by famed Japanese architect, Tadao Ando. Amongst our group it was decided that the addition could have been done slightly different as to not have not disrupted the historic fabric on the main facade, however it still remains a beautiful structure inside and out. We visited other highlights such as the Edo-Tokyo Museum and the newly restored Tokyo Station, and we even had a chance to briefly meet with another HP alumnus, Benika Morokuma. The next day we headed to Nara City, the capital of Japan during the 8th century (also referred to as the Nara Period), where we would meet our hosts for our two week adventure, researchers at Nabunken (Nara National Research Institute for Cultural Properties), a government agency that performs research on ancient cultural heritage. Does anyone recall the Nara Document on Authenticity? 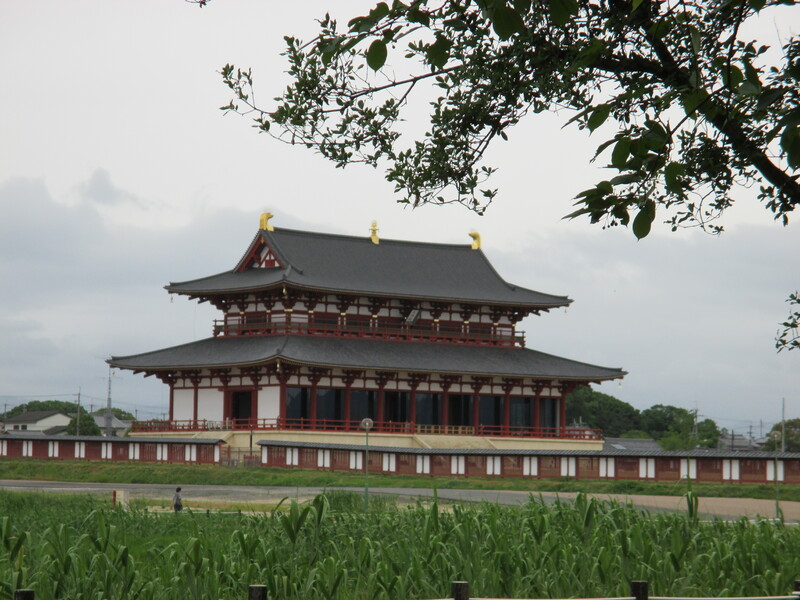 Their offices are located next to the ancient Nara Palace Site which became a priority to protect following an archeological investigation in the 1950s. 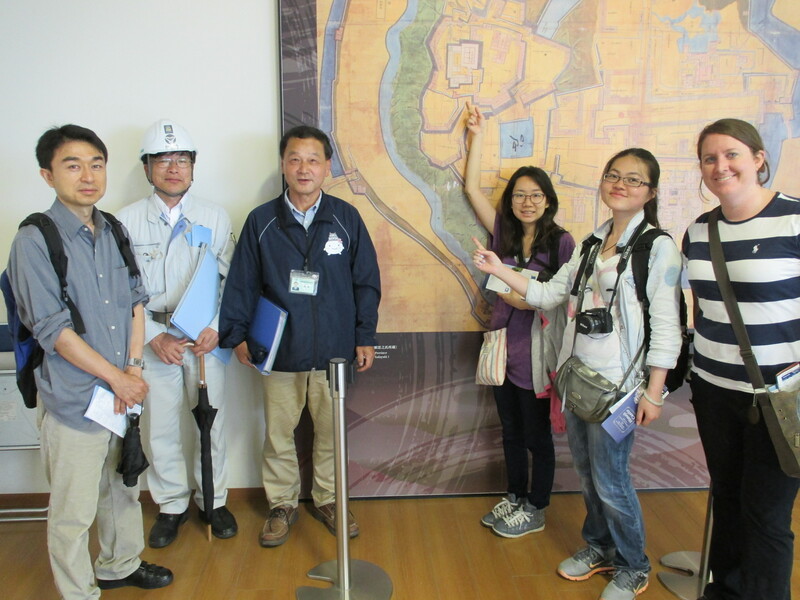 We took a tour, now a World Heritage Site, which includes reconstructed buildings from the Nara Period, including the centerpiece, Audience Hall, various forms of site interpretation to mark important historic locations, and several small museums that informed us of the past. 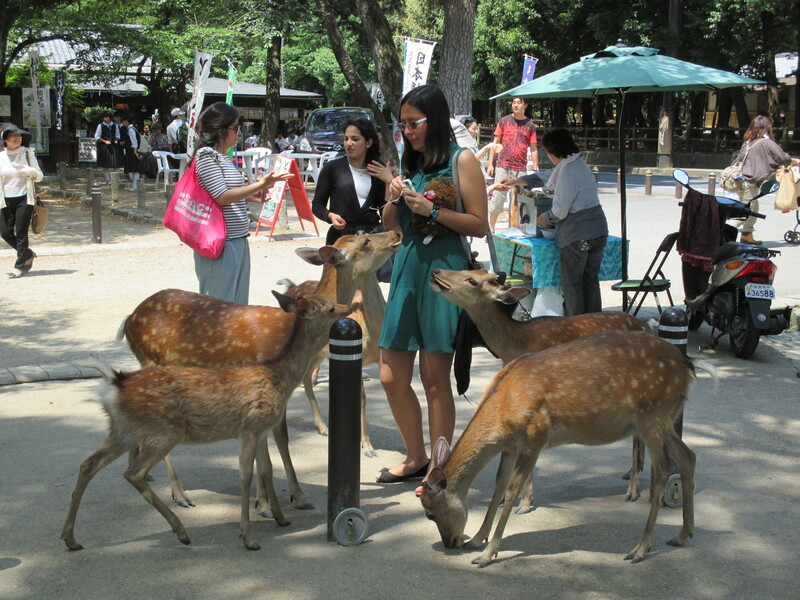 Within Nara there are many sites to see, and we saw most of them (sometimes with insider tours) thanks to our hosts – including the deer of Nara Park which are considered to be national treasures. 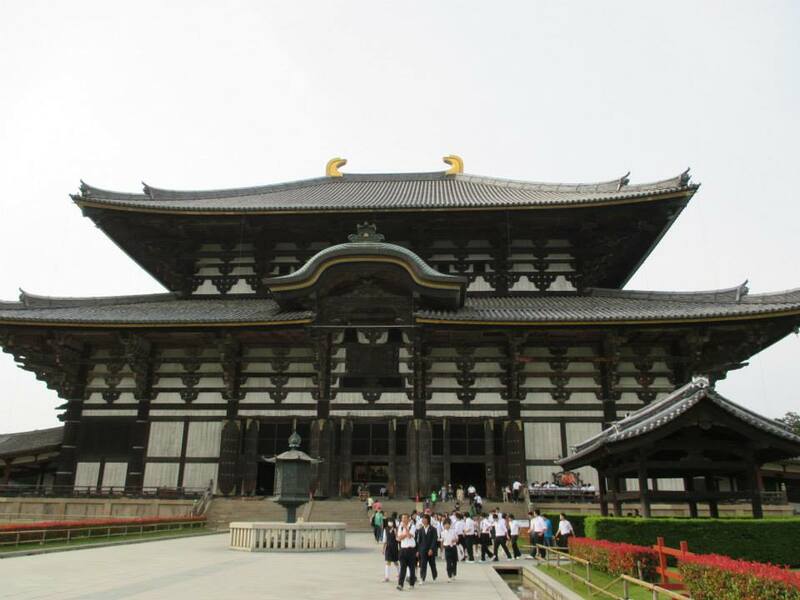 The largest wooden temple within Nara, Todai-ji, was also of the more impressive, but our impressions may have been swayed because we were allowed into the roof for an eagle-eye view of the world’s largest bronze Buddha. We were taken into the roof structure (after a series of very steep stairs!) which has been modified to western standards because of the large expanse of the structure. 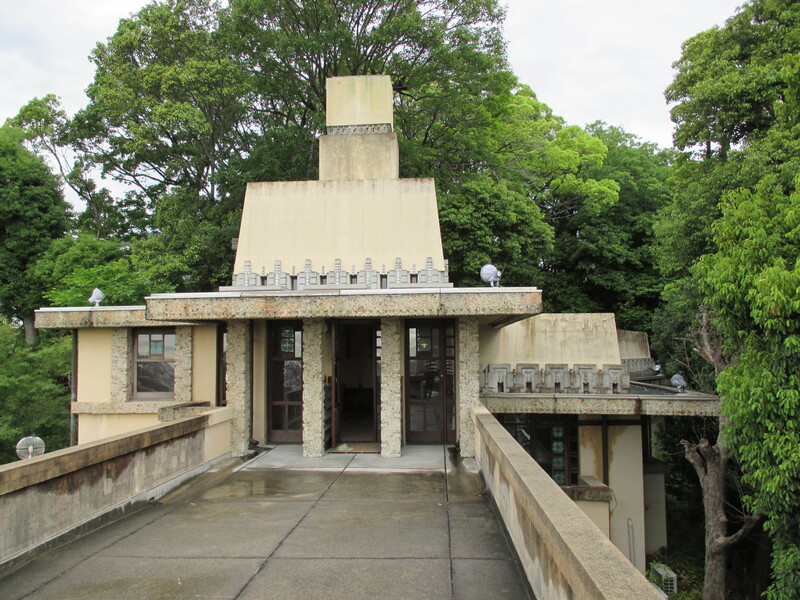 This type of modification usually isn’t done because in Japan the roof beams do not cross one another (a symbol of death for them) and in the west it is common building practice. We were also accompanied by one of the monk’s on our journey upwards who was incredibly brave to make the climb wearing a long robe and wood sandals. 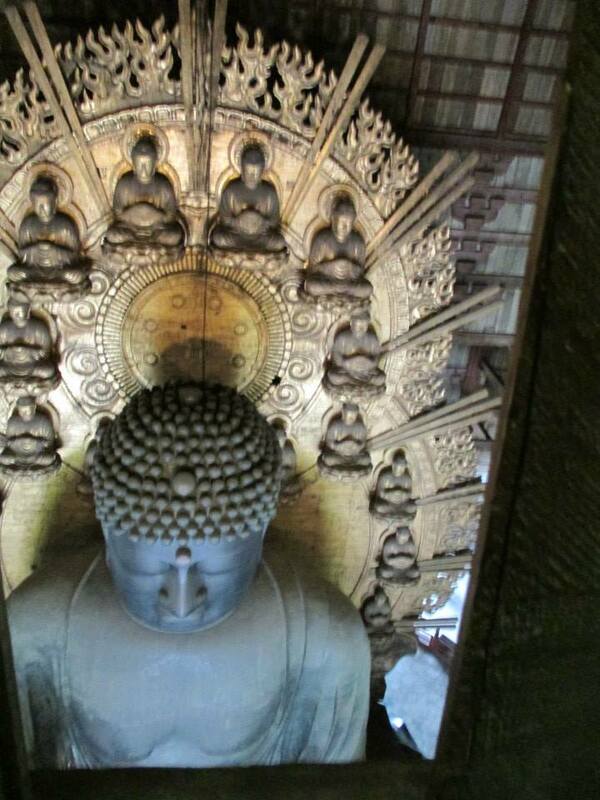 Throughout the next two weeks we traveled all over Nara, Kyoto, and Osaka. 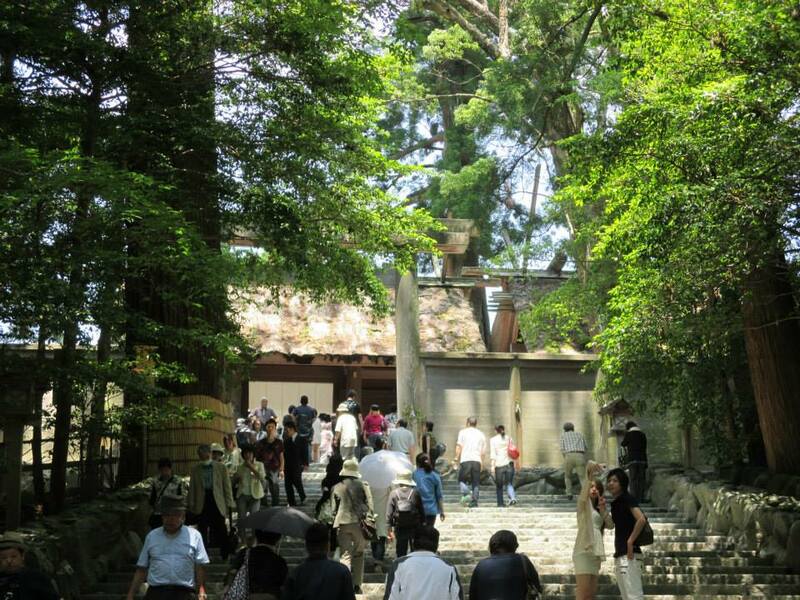 One site we visited, Yakushi-ji, was in the process of deconstructing a pagoda. One of the researchers from Nabunken who is working on the documentation this project lead us through the site. 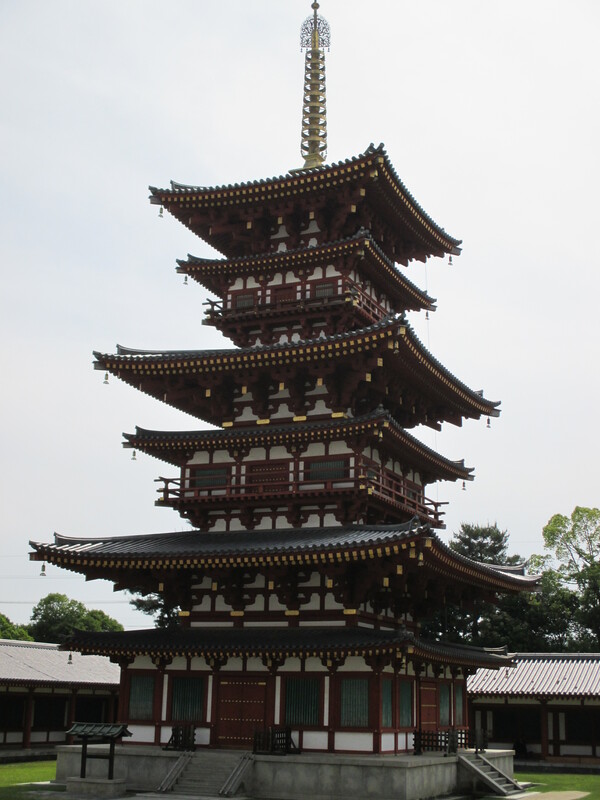 When we visited Yakushi-ji the pagoda was completely surrounded by scaffolding and the workers had taken apart the spire and the seventh floor. 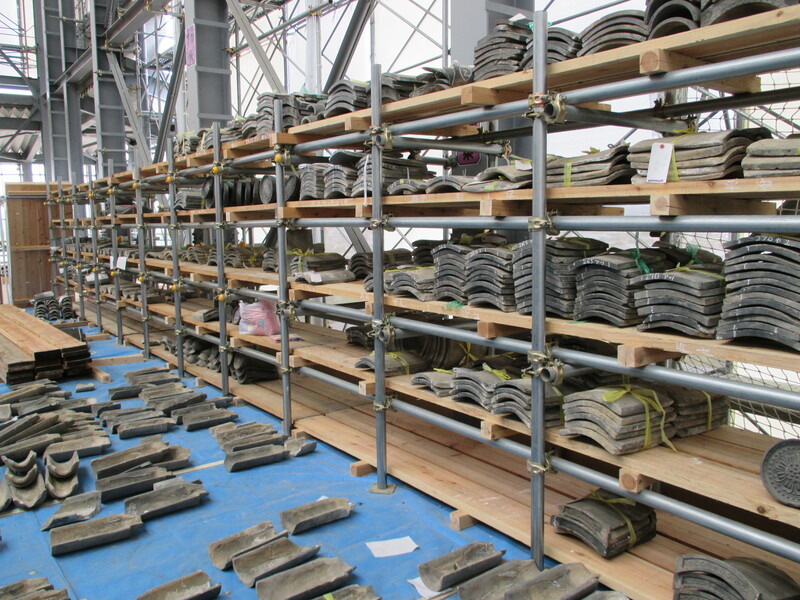 As each piece is removed from the pagoda, they are each tagged and stored on their corresponding level. Pieces of the structure are then evaluated to determine an approximate date of when it was added to the structure and whether they can reuse the part in the reconstruction; this entire documentation process is expected to take another year. I was amazed at the level of detail and care that was put into this process and the fact that many of these ancient structures will go through this same process. 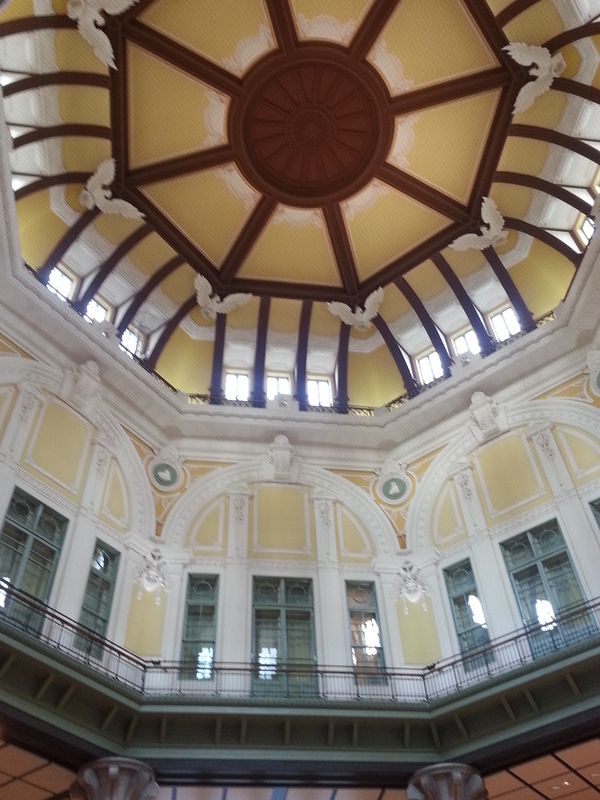 This area of Japan is filled with many architectural landmarks and world heritage sites, and one day we traveled to Kobe where we were able to visit both in one day. 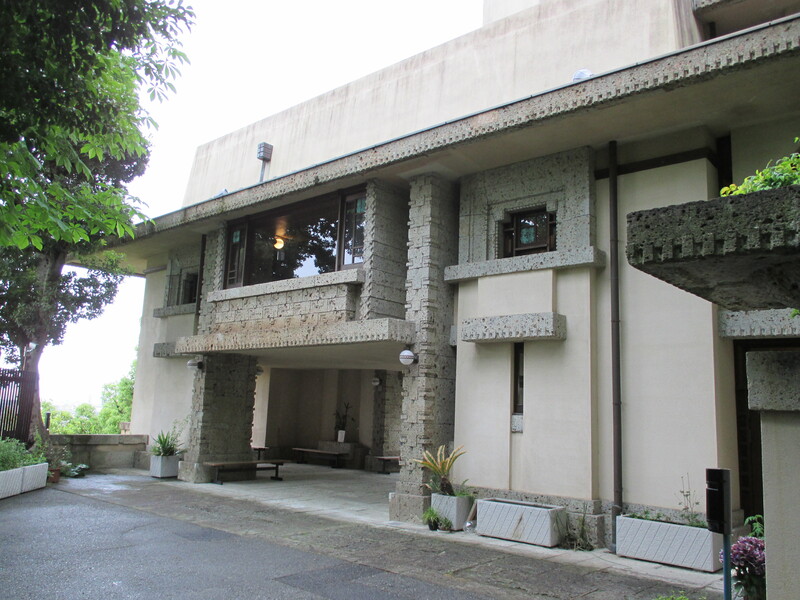 Our first stop was the Yamamura House (also known as the Yodoko Guest House) designed by Frank Lloyd Wright in 1918 and built in 1924 by Wright’s disciples, Arata-Endo and Makoto-Minami. In looking at the design of the house, it is very similar to the expansive and flat architecture that is evident in his Prairie Style houses which can be seen in his own home and studio. The house is situated high on a hill which allowed for the use of a long overhanging patio which overlooks the city of Kobe, a feature that is reminiscent of Fallingwater. The home has several Japanese influenced design features on the interior such as the use of tatami mats, sliding screens, and the use of a natural volcanic stone on both the interior and exterior. 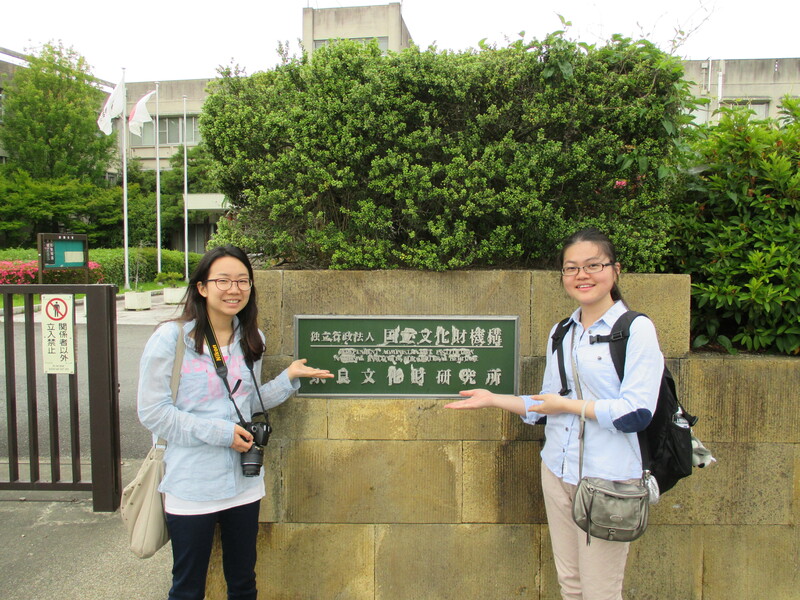 As a midwest native, I have had the opportunity to visit several of Wright’s works, however this was a first for both JeeEun and Tianchi. 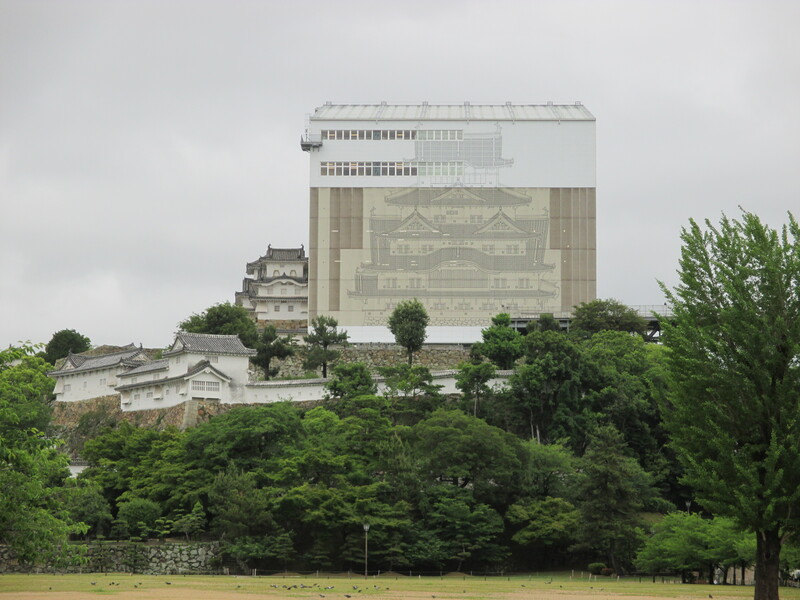 After visiting the Yamamura House, we took the train to Himeji Castle which is undergoing a restoration of the roofs on the main building. This site, which is expansive, was built in 1609 is considered to be one of the best examples of castles from this era including 27 towers, 15 gates, and 32 clay walls. 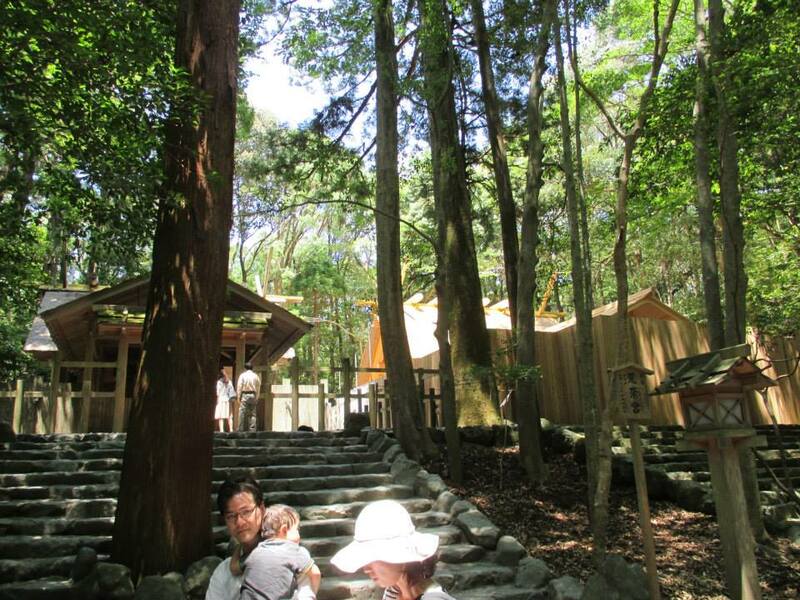 We also took a day trip to Grand Ise Shrine, a site that is centered on two main shrines -Naiku and Geku, and is rebuilt every twenty years as a symbol of renewal. The anniversary year for this re-building is 2013, so we were able to witness this process in the middle of construction with the current and new shrines existing in duplicate. Even though the new site was not accessible, with it currently being an active work site, it was impressive to see both of these massive wooden shrines standing next to one another. 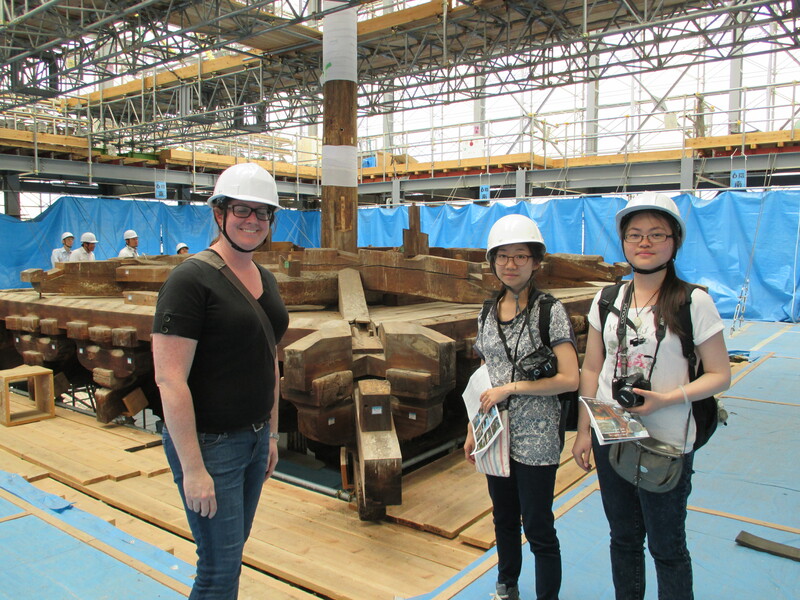 We were also taken to the company who is responsible for processing all of the wood for the rebuilding that takes place at Grand Ise Shrine, which is its sole purpose for existence. They work continuously to harvest the Cypress from all over Japan and expert craftsmen construct each part by hand – all which is privately funded by the worshippers to each of the gods located Naiku and Geku. Each time the shrines are reconstructed the builders look at failures from the previous shrine and modify construction techniques to improve the overall longevity of each structure. Any reusable wood that is deconstructed is then formed into smaller shrines that are displayed in homes. As a westerner, I was amazed at the number of buildings that were reconstructed and the fact that even though the architecture is traditional in form very little of it is actually original. Overall we had a very informative and educational trip that I am sure we will remember for a lifetime.